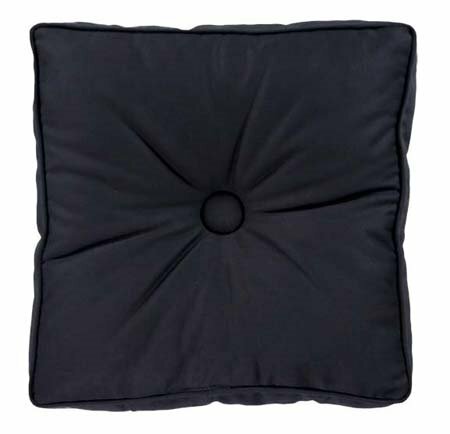 Square cushion shape pillow in black cotton duck with button accent. 14" x 14" x 3". 100% polyester filling. By Thomasville Home Furnishings. Manufacturer UPC is 013864106733.